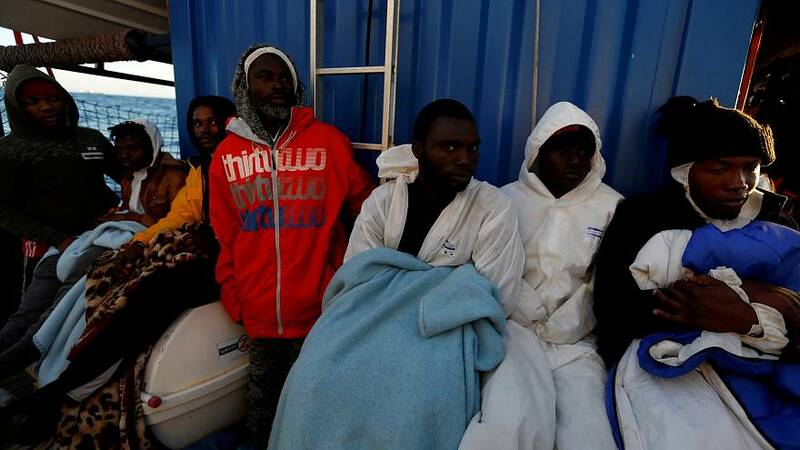 Dozens of migrants who'd been stranded at sea for days were allowed to disembark in Malta on Saturday. Malta allowed their rescue ship to dock after Germany, France, Portugal and Luxembourg agreed to take the 64 migrants in. The German charity ship the Alan Kurdi rescued them off in waters of Libya ten days ago. Malta's prime minister Joseph Muscat said that as the EU's smallest state it couldn't shoulder the burden alone. The ship had earlier tried to dock on the Italian island of Lampedusa but Italy's far-right Interior Minister turned them away, as he has done repeatedly in the past. Matteo Salvini said Germany should accept them instead. Read more: Are Spain and Italy covering up the number of migrant arrivals? The authorities on Lampedusa had allowed two children and their mothers in need of urgent medical assistance to come ashore. But they refused after being told their husbands were not allowed to accompany them. The migrants and the 17 crew members are now sleeping in a room designed for only 20 people. The Alan Kurdi is named after the three-year-old Syrian boy who died trying to reach the EU. Photos of his body washed up on a beach in Turkey near to Greece shocked millions around the world in 2015. On Friday the head of the U.N. refugee agency said about 1,500 refugees and migrants are trapped in detention centres by the Libyan conflict and the risks to their lives are growing by the hour. "These are people in the most vulnerable and dangerous of circumstances," U.N. High Commissioner for Refugees Filippo Grandi said in a statement, calling for them to be evacuated. "They must be urgently brought to safety. Simply put, this is a matter of life or death." One of the Nigerian migrants on board said he was treated horrifically whilst in Libya and was sold as a slave twice.